Short suits are a classic way to look effortlessly chic with a dash of casual comfort. 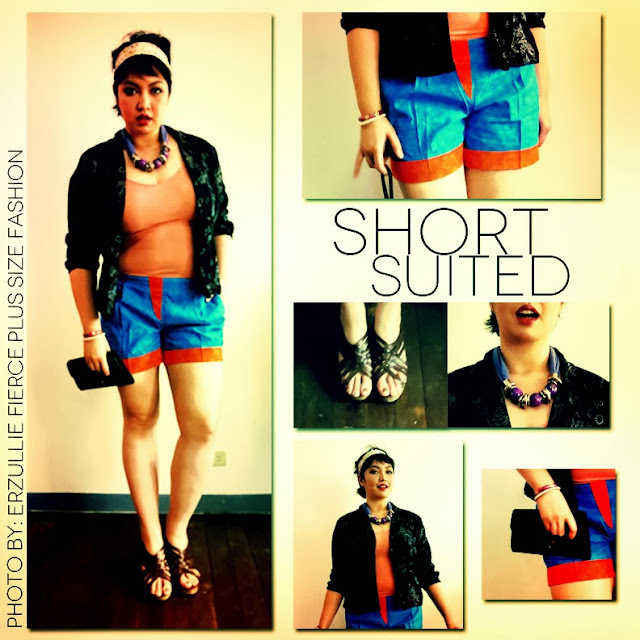 Pairing a bold colored shorts with a plain tank and a dark printed jacket is all that you need to create this look. You can even look more casual by pairing it with strappy wedges for an earthy appeal. Ground your look with a small basic clutch. A touch of being girly with pearls and a bold necklace that ties up with your bold color palette.